The 1990 Stockton Ports went 82-59 and won the California League championship. The team is also counted by one writer as one of the best clubs in Brewers minor league history. 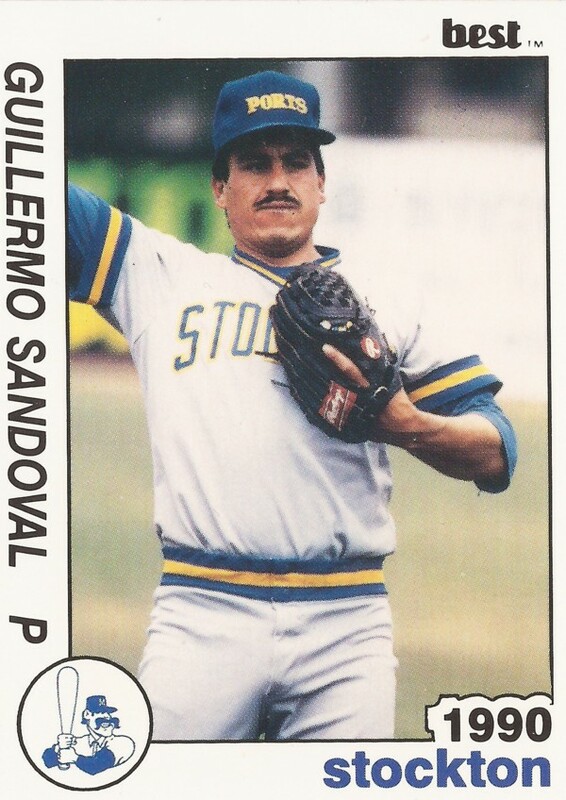 In the five-man pitching rotation for the Ports that year was Memo Sandoval. His outings accounted eight of the Ports' wins. Sandoval helped the Ports to the 1990 title in his third minor league season. He got into one more. He never made AA. Sandoval's career began in 1988, signed by the Brewers as a free agent out of his native Mexico. He is also credited by his given name, Guillermo Sandoval. Sandoval started with the Brewers at rookie Helena. He got into 20 games there, starting three, with an ERA of 4.78. He moved to single-A Beloit for 1989. In 30 relief outings, he had a 4.32 ERA. He picked up three wins and one save. Sandoval arrived at high-A Stockton for 1990. He went 8-5 overall there as a starter and reliever. He had a 4.08 ERA. He returned to Stockton for five more outings in 1991, ending his minors career. Sandoval then is credited as returning home to Mexico. He's credited as playing in 2000 and then 2002 and 2003. It was unclear if he played in between 1991 and 2000. His last recorded time was in 2003 at Tabasco.